The most beautiful spring holiday - the 8th of March has passed. It is said that spring is a time of love, new life, the most beautiful flowers and not by chance we congratulate women on the 8th of March, because they embody the most wonderful spring qualities: sunny smile, unpredictable spring storm, tenderness and freshness of the first leaves. This year, Fort Financial Services has decided to complement all actively trading women of the company with a bouquet of flowers. 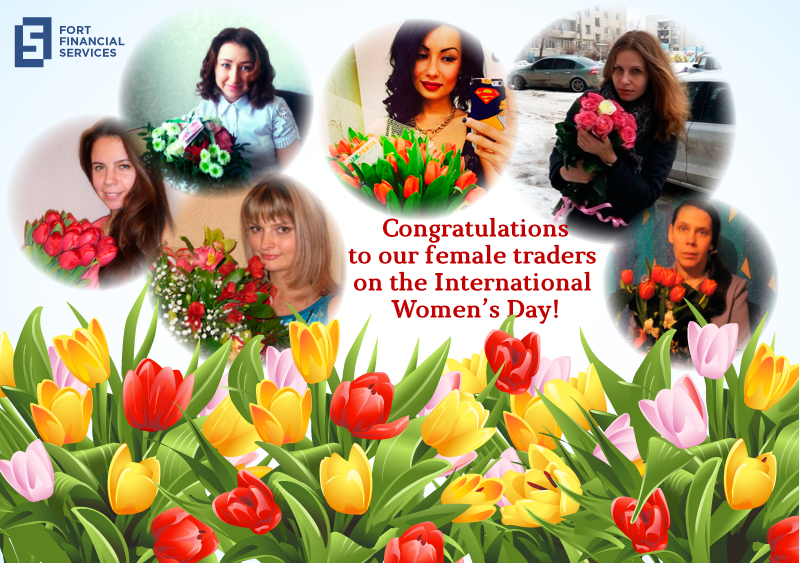 We are sincerely thankful to all those traders - women who, in response, have sent us their photos with our bouquets.